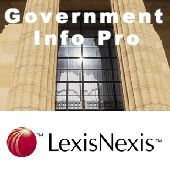 The LexisNexis® Government Info Pro Podcast is dedicated to the needs and interests of government information professionals. Marie Kaddell, LexisNexis® Senior Information Professional Consultant, shares the 2010 LexisNexis® Library Week Program for Government Librarians: The New Face of Value: Creating and sustaining value in your professional and personal life. The program was held at the National Press Club in Washington DC on April 20, 2010. The guest speaker was Bruce Rosenstein ― columnist, librarian, and author of Living in More Than One World: How Peter Drucker’s Wisdom Can Inspire and Transform Your Life. Visit the Government Info Pro Blog at http://www.governmentinfopro.com and follow Marie Kaddell @libraryfocus on Twitter.